"A Movie filled with days of BMX Riding, Traveling, and Time. An Epic Journey through life and all the places a bicycle can take you with your closest friends." 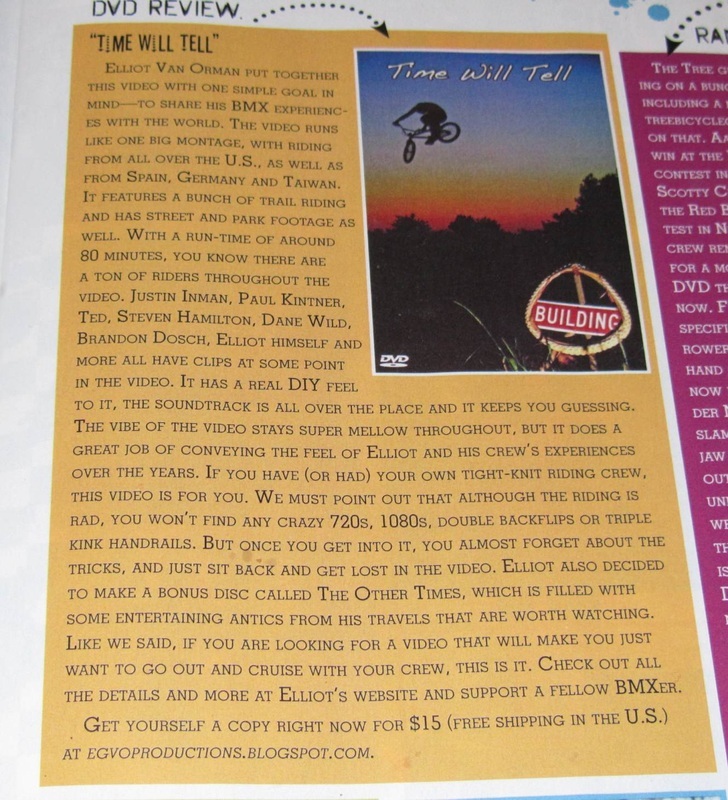 Order my 2 disc 2011 "Time Will Tell" BMX DVD set today! Throughout the Summer of 2012, one year after its release date (6-1-2011), I released all of the sections from my Time Will Tell DVD online. You can now watch the entire movie in order below. 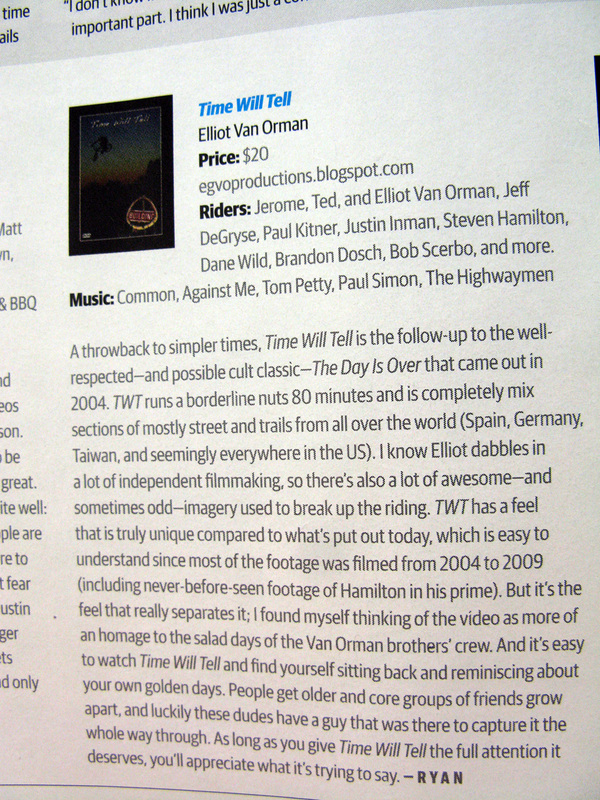 Time Will Tell is a 2 disc DVD set. Shot on location in the USA, Canada, Europe, Taiwan, Australia, and New Zealand. Comes with an additional bonus comedy DVD entitled, "The Other Times"